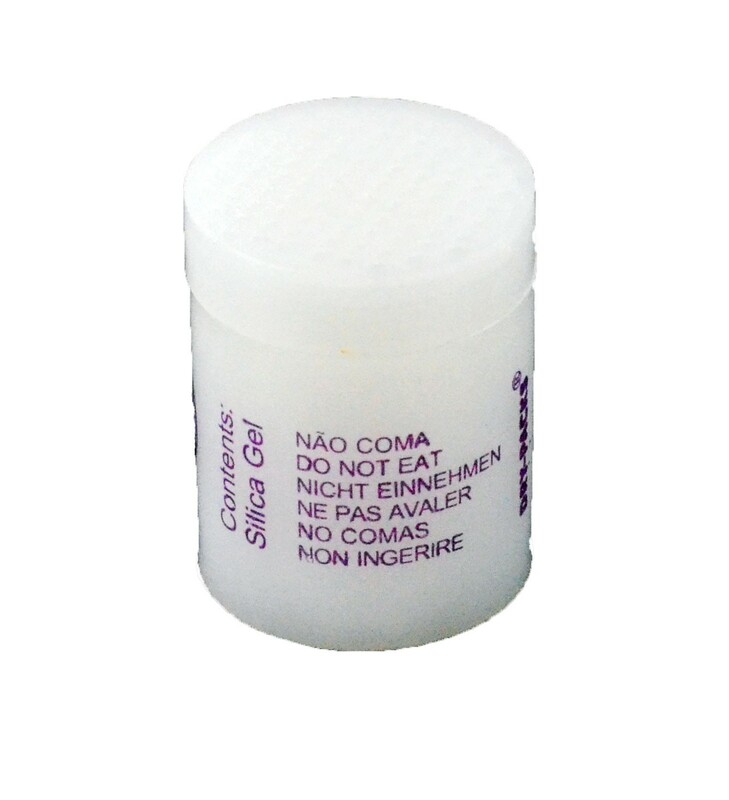 Dry-Packs® Silica Gel canisters contain 3 Gram of Silica Gel. These canisters are often used in pharmaceuticals, spices, food packaging, electronics, and more! Dimensions: 3/4 x 3/4 x 1"
When used in closed places silica gel whisks away moisture to create a protective environment of dry air. It prevents all forms of rust, corrosion, oxidation, mildew, fungus, mold, and tarnish silver. Use them with food, pharmaceuticals, vitamins, etc. to prevent spoilage. This Dry-Packs® brand Silica Gel canister does meet FDA specifications for use in dry food packaging. USES OF PRODUCT: Pharmaceuticals, Vitamins, Supplements, Dry Food, Spices, Herbs, Vacuum Bags, Storage Containers, Camera Cases, etc.